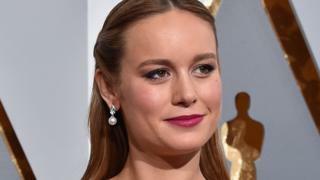 Image caption Actress Brie Larson has said the industry must do more "to make sure everyone's in the room"
Women of colour are being "written off" as film critics, a study into film reviewers' demographic profiles says. 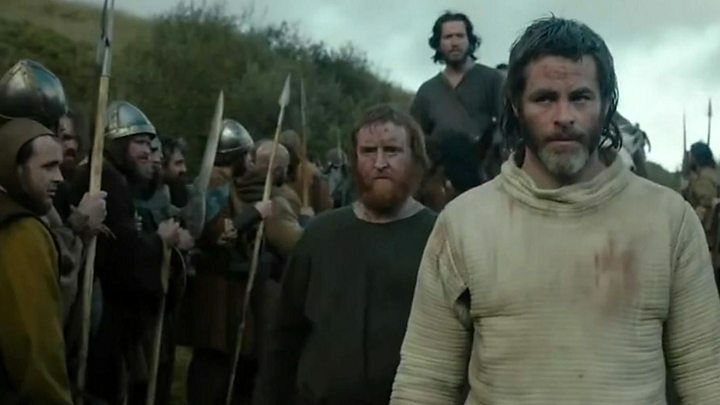 Not only are they under-represented, but they are also denied the chance to review major film releases, the report released on Friday has found. White male critics outnumber female critics from under-represented racial and ethnic backgrounds by 31 to 1. Dr Stacy L Smith of the USC Annenberg Inclusion Initiative said the findings made for "depressing" reading. Speaking at the Toronto Film Festival, Dr Smith said the data, drawn from reviews aggregator site Rotten Tomatoes, pointed to an "invisibility" and "erasure" of under-represented female critics. Analysis of more than 59,000 film reviews written by around 2,400 critics found stark disparities in gender and race, she told an audience on Friday. She said it had showed that male critics had written 78.7% of the reviews assessed, while women had written 21.3% of them. The disparity between white critics and critics from under-represented racial and ethnic backgrounds was even starker - an 83.2% to 16.8% split. Dr Smith went on to say that films with female leads from ethnic backgrounds were generally rated lower by white male reviewers, potentially affecting their box office performance. She called for target inclusion goals to be set and for major newspapers, trade publications and entertainment magazines to recruit more widely. The report, entitled Critic's Choice II, is the second in a series looking at representation in the film criticism sphere. Its findings are based on reviews of the 300 top-grossing films from 2015 to 2017 posted on the Rotten Tomatoes site. Oscar-winning actress Brie Larson spoke out in June to salute Dr Smith and her team for their "incredible" work. "We need to be conscious of our bias and do our part to make sure that everyone is in the room," she said at a Los Angeles awards ceremony.